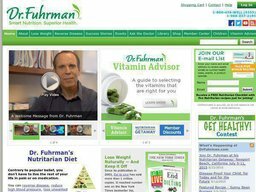 Dr. Fuhrman is a health and nutrition brand owned by US physician Dr. Joel Fuhrman. His company sells supplements, fitness products and informational products through his website at DrFuhrman, in a separate shop section. They often run special offers and deals where you can make savings on your purchases, by redeeming Dr. Fuhrman coupons. Here at Coupofy we update our list of codes whenever new ones are made available, so you never have to waste time searching the web for something that will work. 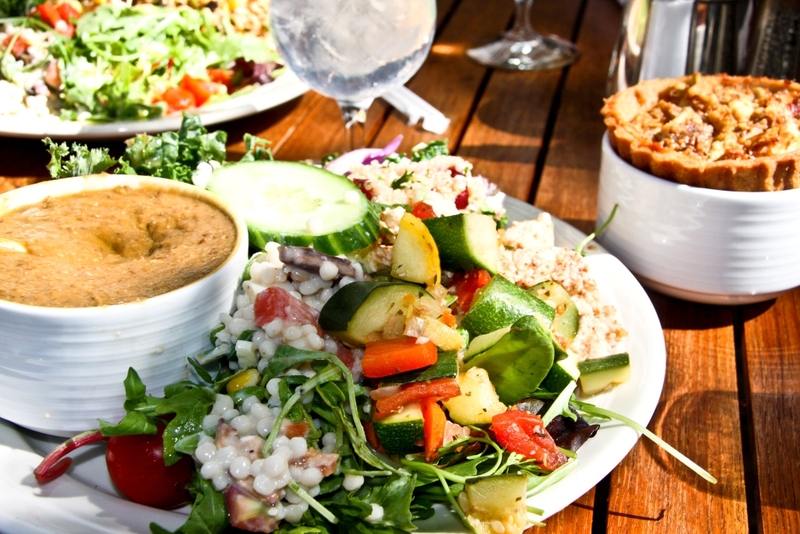 Fuhrman himself graduated from the University of Pennsylvania School of Medicine, and went on to develop his own diet and health philosophy that he would promote through infomercials. He is big advocate of eating raw vegetables and fruit (several pounds a day) but also suggests nutrients can be consumed through whole food supplementation. He sells such products on the website. Online you can also buy his range of books and DVDs that explain his ideas in detail. Fuhrman's first book was published in 1998 and was entitled "Fasting & Eating for Health: A Medical Doctor's Program for Conquering Disease." His most recent book was "The End of Dieting: How to Live for Life," which was published in March 2014. His website has been online since 1999 has sold products in some form since it was launched. Today it stocks a wide variety of supplements, health foods & super foods, health & fitness equipment, and informational products, most of which fall under his own brand. The site itself is also full of helpful articles, success stories, sections where you can ask experts advice, and more. They are also active on most major social media platforms. Dr. Fuhrman's online store is organized in to several key categories that can be easily browsed, or you can use the search bar if you have something specific in mind. These include Books & Media where you can find all of his information products; Foods which include soups, health bars nuts and more; Personal Care for workout gear, home test kits, sunscreen and more; Supplements such as multivitamins, omega 3 etc, and even a T-shirts section to show your support for the brand. If you are shopping for gifts for other people you might want to consider a pre-made gift basket with multiple products, or a gift certificate of values between $25 and $100 so the recipient can make their own purchasing choices. The online store is currently aimed at US customers and uses a typical basket and checkout system. If you are a business or organization looking to buy in bulk you may be able to get a wholesale discount by using the wholesale page. Dr. Fuhrman accepts several methods of payment, including most major credit cards such as Visa, American Express, Mastercard, and Discover. You can also checkout and pay with MasterPass or Paypal if you find it more convenient. If you wish to redeem a Dr. Fuhrman coupon code all you need to do is copy it from Coupofy or other source, and then enter it in to the promotional box during checkout, which you'll see ahead of payment. All orders over the value of $50 will ship for free via standard delivery (3 to 5 business days) within the 48 contiguous US states. Occasionally they will also run a free shipping special offer where you can use a Dr. Fuhrman coupon code to get free shipping regardless of the order value. You can also pay extra for faster shipping including FedEx Express, which starts at $25. Dr. Fuhram operates a 30 day return policy, allowing customers to return any unopened and unused supplements within 30 days for an exchange or store credit. They do not offer a direct refund unless you received items in error, or they arrived damaged. In that scenario they will also cover the return shipping cost. Any store credit issued is only valid for 6 months. Some items are exempt altogether from returns unless they arrive damaged or in error. These include Books, Posters, Magnets, Digital Downloads, Skin Care, Gift Baskets, and anything else that has been opened. Before sending anything back you must contact customer support.